Want the key to making your career enjoyable. Don’t work for the money….work for the endorphins! In our Redlands CPA firm, clients come to us from throughout the Inland Empire and beyond as their accountants. That may be the outside view of what we do and the end product of our work is in most cases a tax return, financial accounting or consultation in those areas. However, the inside view of what we do is to provide a solution to whatever our client needs. That may in our area of expertise or by use of our connections we can find a solution for a client even if the topic has nothing to do with anything related to accounting or finances. Whether it is taking away the uncertainty of their tax liability, providing them financial information to more effectively manage their business, or find a connection for a possible job opportunity for them, there is no better feeling than to solve a problem for a client. I am not a scientist or chemist so forgive me in advance for my novice description. 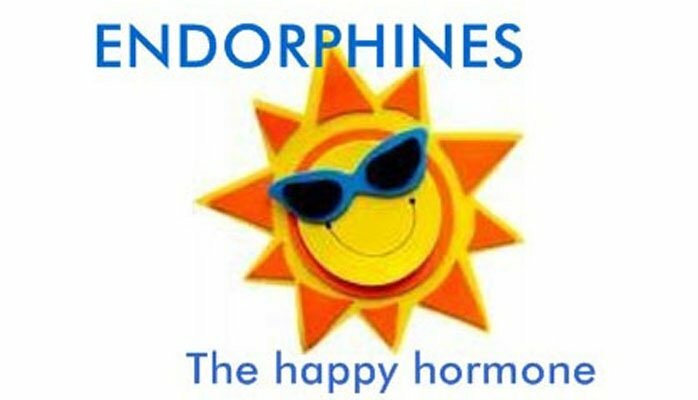 Endorphins are the “happy hormome” inside your body and are best known for the rush most people get after exercise. That same “endorphin rush” can happen at work. Ever have a day when you felt things everything fell into place at work? Clients or customers are happy….co-workers are happy and you are happy. We are blessed at our company to have many opportunities to experience such a rush. If you put your efforts into identifying the triggers that give you that endorphin rush no matter what your career role, the money will follow from good reviews, promotions and increases in your compensation. It’s a perfect situation…be happy and be compensated better for what drives that happiness. If you keep your happiness ahead of your wallet you will find your Life Less Taxing.